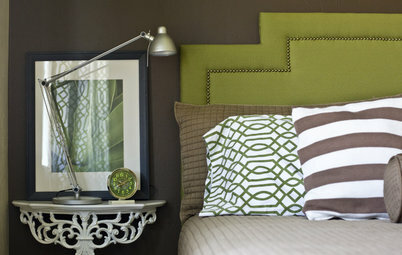 Compact homes allow for jewel-box rooms with bold colors and innovative designs. 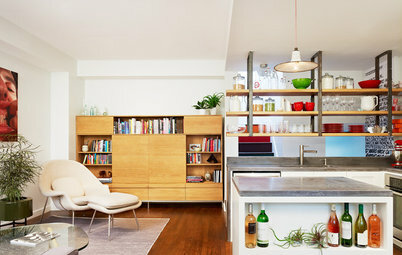 See what we mean in these 12 innovative studios — some of the most creative homes on Houzz — listed from largest to smallest. 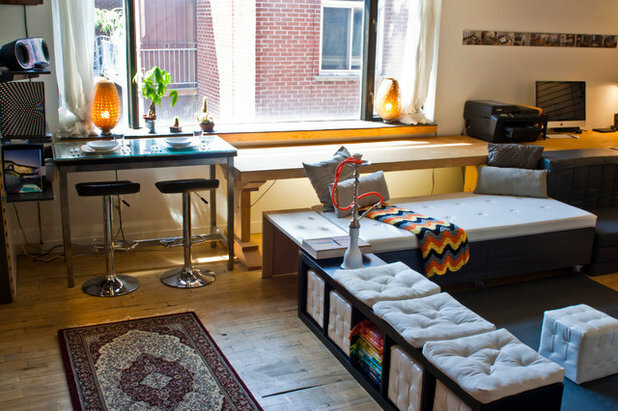 Designer and owner Aboudi Hassoune fits work and home life into 720 square feet. Creative furniture combinations and custom designs (including one inventive flying-carpet table) allow this studio to easily switch from office to lounge to dining room to bedroom. Despite its previous run-down state, this studio had a loft like-feel that the architect could work with. The open space had plenty of benefits, but he needed to find a spot for the bed that still felt private. 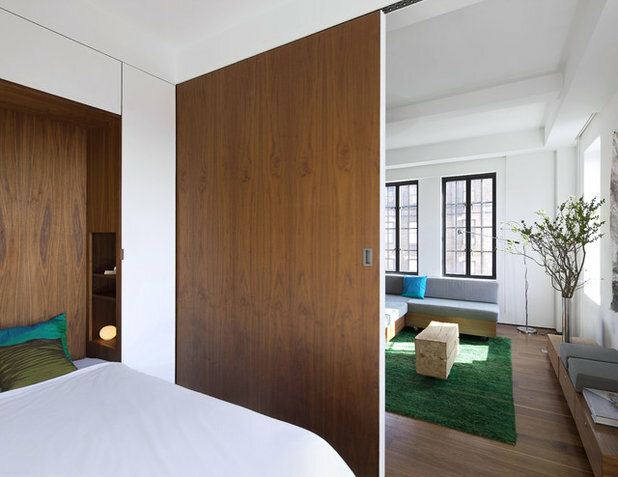 A custom Murphy bed and sliding door did the trick while keeping the option to open everything back up again. 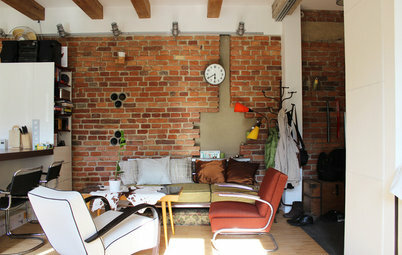 Jaroslav Kašpar's planned easy studio remodel quickly became a massive DIY renovation. Refinishing the original brick walls and beams preserved the original building's integrity even though the floors were replaced. Highlighting the quirky nooks and crannies — both original and new — gave this lovely studio plenty of character. 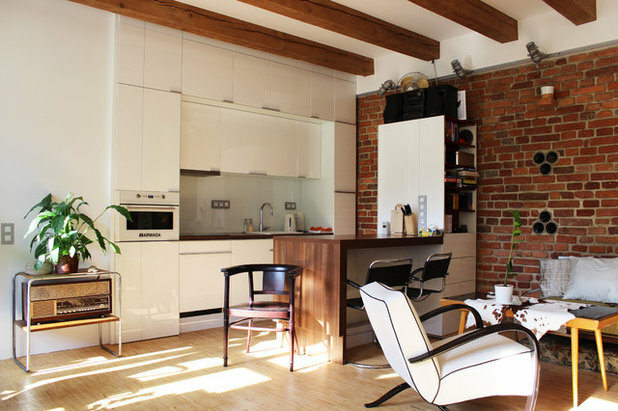 After gutting his industrial apartment, this homeowner was left with little else but concrete vaulted ceilings and an open space. 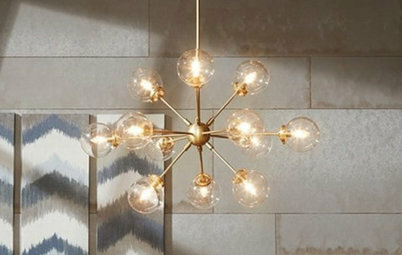 With only one client in mind — himself — he was able to customize the space exactly to his needs. This floor-to-ceiling shelf helps divide the bathroom from the kitchen, while the living room and bedroom remain open to each other. 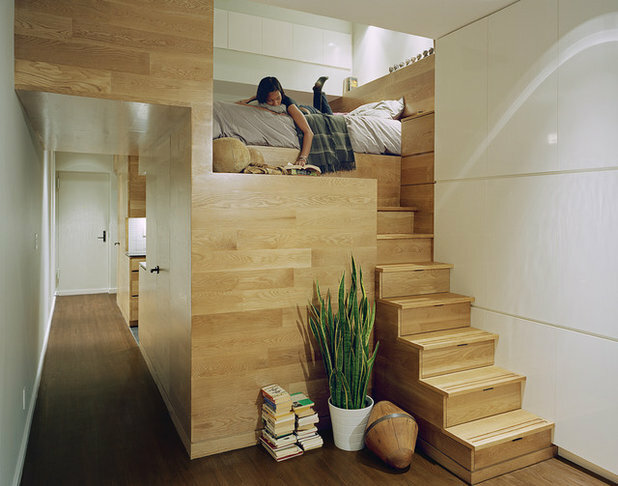 Combining workspace, sleeping space and display space became easy with a custom white oak sleeping loft, outfitted with storage tucked into each stair riser and a walk-in closet underneath. In search of a modern home on a budget, a French photographer got creative. A 441-square-foot garage in Bordeaux surprisingly fit the bill. 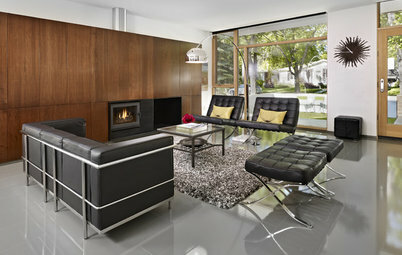 With the help of a local architecture firm, he transformed the old garage into a sleek, modern home. 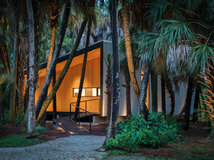 A large wooden cube in the center houses his shower, sink, washing machine and toilet, maintaining both privacy and an open living area. 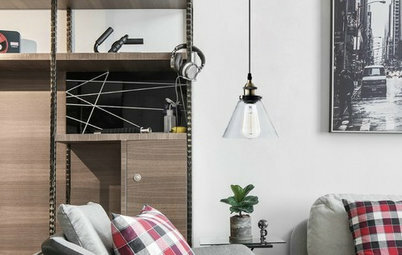 Intent on finding a way to have guests over for dinner and overnight visits, this apartment owner worked with a local firm to squeeze each zone of his apartment into a built-in cabinet along one wall. The massive cabinet contains a bed, desk and closet, all of which can fold out or back as needed. With $25,000 to spend on her new home, Denise Franklin had to downsize. 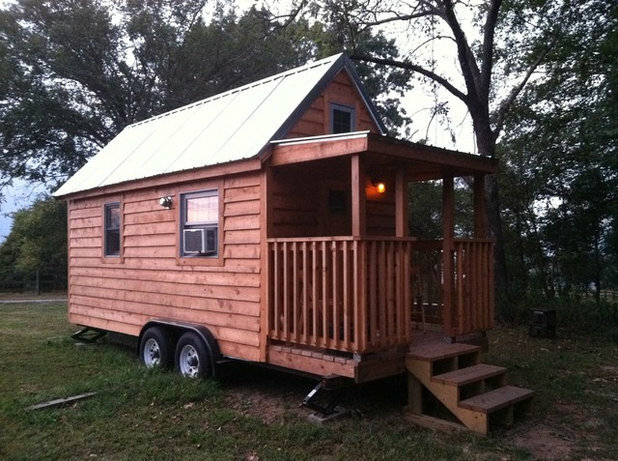 Her tiny new cabin is made of all natural and local materials, and the simplified construction helped cut down the cost. 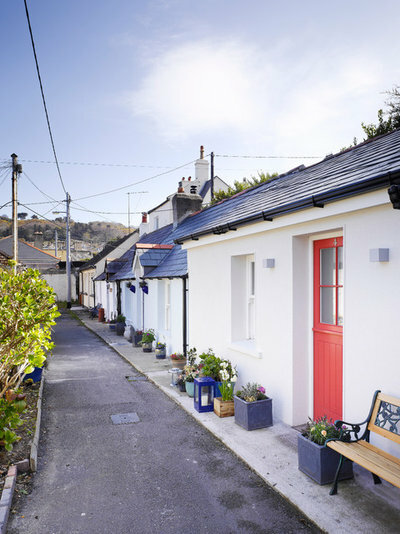 A dilapidated Irish fishing shack is now a modern guest cottage. Although the traditional exterior remains the same, this tiny home has a new, sleek interior that makes the most of every square foot. 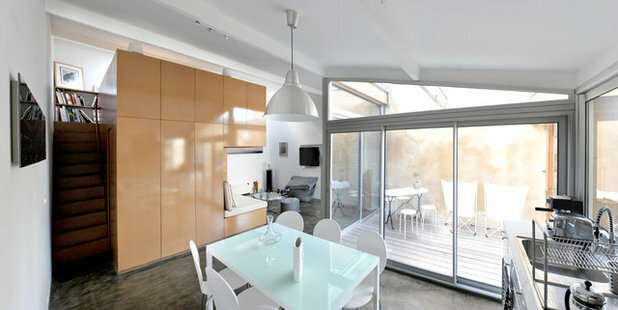 Hidden panels in the walls and floors of this innovative Spanish apartment allow it to function in different modes. 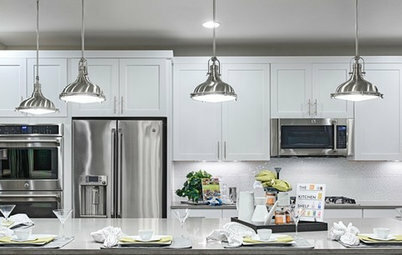 One wall panel reveals a refrigerator and stove for cooking mode; another holds a full-size mattress for sleeping mode. "It's almost like living in a big closet," says the owner. 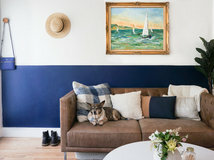 Artist and owner Michelle de la Vega acted as her own general contractor for this adorable remodel. Once an old garage set on a great lot, this space became a usable, workable minihouse — complete with kitchen, patio, lofted bed and bathroom — thanks to de la Vega's ingenuity, vintage finds and artistic style. 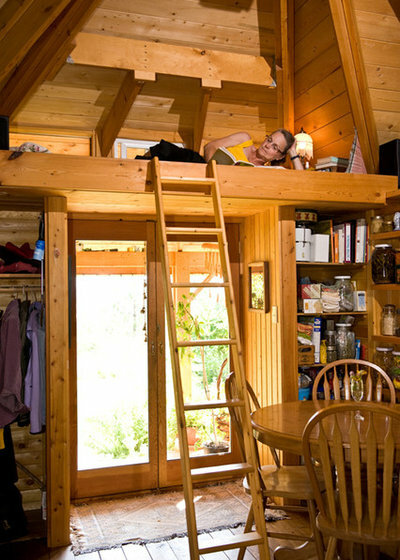 Inspired by the tiny houses by Tumbleweed Tiny Homes, Evan and Gabby Coulson decided to give small-space living a shot. 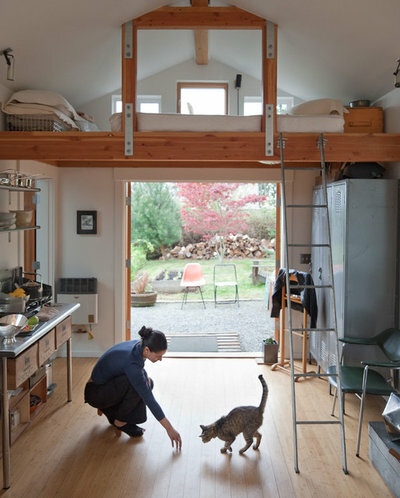 The couple built this home on their own, sticking to a tight budget and extremely tight square footage; the petite and portable house fits all of their essentials. Kandinsky Ruby Square III Cushion Cover Hand Embroidered 18" x 18"
I absolutely love this article. I'm 26 and live in South Beach Miami, Florida where studio living is the common living mode for most 20-somethings due to the high price tag per square foot here. 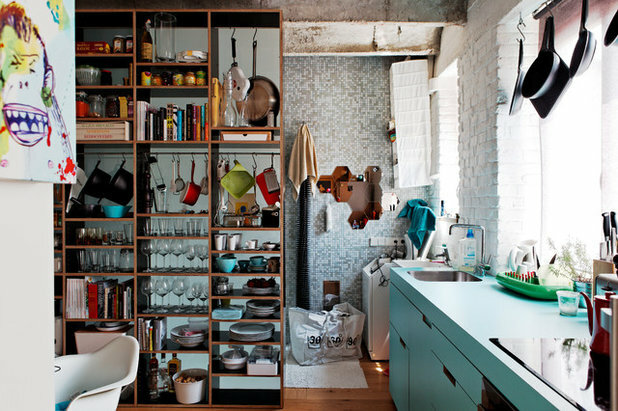 I will surely make use of the ideas laid out here—especially the open-back book shelf as an extension of storage space for the kitchen. I totally love the functionality of this idea but still bringing in warmth to the overall space and pouring out a sense of "someone lives here." Genius! Thanks!